Today, Mauritius has some of the best and most luxurious hotels and holiday villas which offer excellent service and facilities in a stunning, sun-drenched background. Moreover with our proposed hotels, beach resorts, luxury holiday villas, or stylish beach houses, you will always be sure to enjoy comfort, style, luxury and private atmosphere during your holidays in Mauritius. We will be happy to assist advice and recommend on a selection accommodation solutions as per your preferences, requests and budget. For the convenience of all our customers and website visitors we have created a list of top recommended accommodation providers, consisting of top Recommended hotels in Mauritius and Recommended Self Catered Villas. Here you will find useful information on selection of the most recommended hotels and villas in Mauritius for you to be able to choose your ideal accommodation package for your coming holiday. 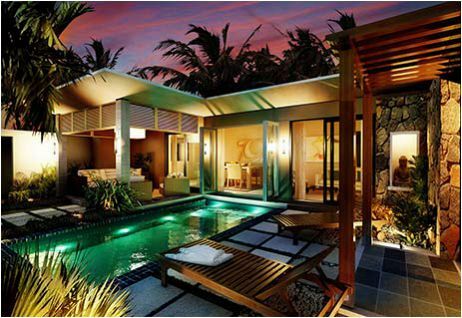 Over the past decades, the face of the holiday accommodation industry in Mauritius changed drastically. Mauritius has changed from being a secret paradise known to small number of travelers, to a popular holiday destination. Mauritius has developed an extensive range of hotels networks, and many accommodation solutions. Visitors to Mauritius can choose from a selection of hotels from budget hotels, to amazing 6 stars hotels of which some are considered the top in the world, as well as unique nature boutique hotels and business oriented hotels. Today, we keep witnessing the growth of the Mauritian hotel industry with more professionalism in all aspects. The local hotels in Mauritius offer a much wider range of services, leisure facilities, gourmet food, while providing quality personal service to all visitors of Mauritius with warm welcoming hospitality. It is also possible to find in Mauritius representatives of the biggest international hotel and resorts chains in the world such as: Hilton hotels, Intercontinental Hotels, Club Med Resorts, Sofitel Imperial, Le Meridien Hotels, Saint Regis, StarWood Group, Maritim and many more. In addition, to the international hotels chains, there are also regional and local hotel chains such as: Sun International, Naiade Resorts (LUX Island Resorts), Beachcomber Hotels, which offer a selection of hotels along the coasts of Mauritius. Following the quick growth in the local hotel sector, Mauritius has earned the reputation of a top luxurious destination with world class hotels, offering luxurious accommodation packages. Most of the hotels in Mauritius are focused on elegance, comfort and are particularly renowned for their high standards. 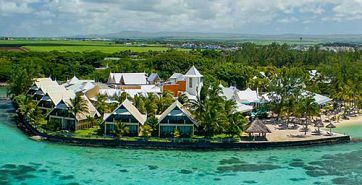 Visitors to Mauritius can choose from a selection of exclusive top class luxury resorts (5 star deluxe and even six starts), to small family owned boutique hotels offering more intimate atmosphere. From designer chic luxury to all inclusive, each and every hotel has developed an individual, unique identity that will appeal to you. 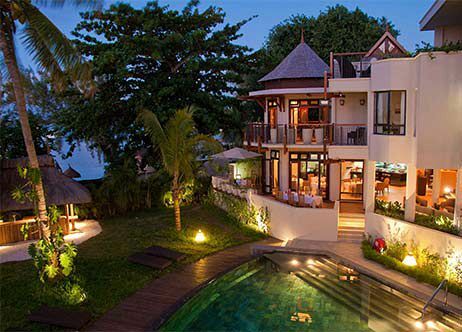 Mauritius Attractions also has the privilege to offer wide range of holiday self catered villas all across Mauritius for you to enjoy a perfect vacation in Mauritius in your ideal holiday villa. From intimate luxury beach properties to larger holiday homes and mansions, all the villas have been handpicked for their location, views, facilities, comfort, style and character. From a self catering basis to all inclusive villas, all are available for you to choose for your accommodation in Mauritius. Almost all the villas are provided with range of services such as: personal cook/chef, maid service, babysitters, 24/7 house butler, personal masseur, private chauffeur. Accordingly, you have the freedom to choose your desired villa accommodation, as well as choose on which basis to rent the villa and which of the additional villa services to include. 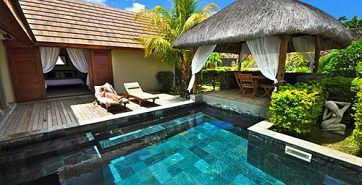 Why to choose a Holiday Villa in Mauritius? Whether as a family, a single, or a couple, when you rent one of our high-end holiday houses, luxury holiday villas, or stylish beach houses you will always be sure to enjoy comfort, style, luxury and private atmosphere during your vacation in Mauritius. Lower Prices & Superb Value - The cost of most villas rental is lower than the rental charge of rooms at most hotels and resorts. Size Matters – It is possible to find much bigger private holiday villas than any hotel’s room / suite. Most the luxury private villas can easily accommodate 6-8 people and in many cases even more, while most hotels’ rooms and suits are usually limited to a maximum of 4 people. Privacy – the villa is privately yours to enjoy in maximum privacy together with your friends, family and loved ones. You will not be sharing the property or its facilities with anyone else. Homey Feeling - Vacation rentals come fully equipped with all of the amenities that you have at home (or even more), and offer a very homey feeling. All villas come complete with linens, bath and beach towels, all the kitchen utensils, TVs, DVD’s, sound systems and many more. Maximum Comfort - Spacious, comfortable and well equipped for everyday needs, each of the luxury villas in our portfolio offers a multitude of opportunities and benefits. These holiday villas are great for all occasions, from big group gatherings, to an intimate honeymoon getaway.